Lord Nityananda and Lord Nrsimhadeva in the forms of Their shoes and helmet respectively, continue to guide our tour and perform miracles. 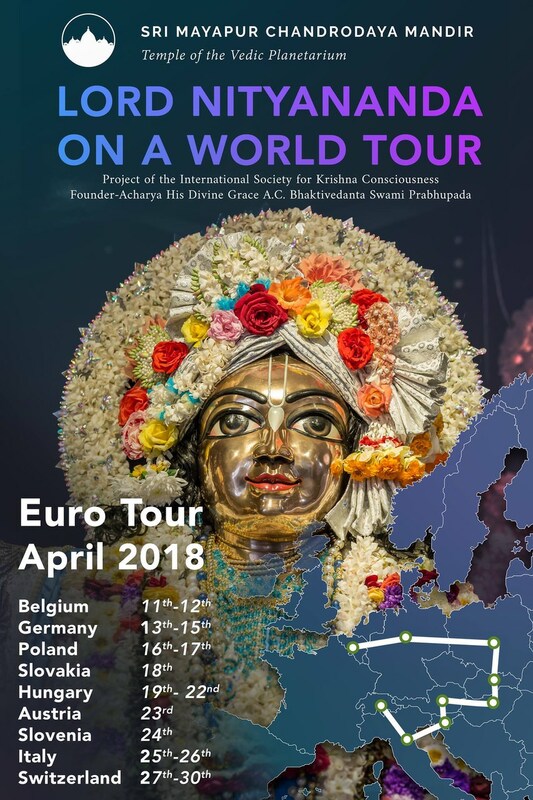 Although we were only scheduled to visit the Sri Sri Gaur Nitai temple in Poland, a last minute arrangement was made to also visit the Nava Navadvipa temple. Each temple had about 25-35 devotees in attendance, and as usual the Lord was greeted with an arati, abhisheka and kirtan. Jananivas and Braja Vilas prabhus both spoke and presented an inspiring video. But the real miracle began when devotees started making their pledges. Each temple raised over $30,000 U.S. for a total of $60,000 in pledges, an unheard of amount for any program in this region. Both programs were history making for these temples from the spiritual point of view, but also because no one ever expected there to be such a surge of financial support coming from the small number of devotees at these temples with limited resources. The maximum temple managers have ever collected was 2,000 Euros or about $2,500 U.S. for a Janmastami program. The Euro is a currency that is smaller than the U.S. dollar and doesn’t buy as much either in the European countries. 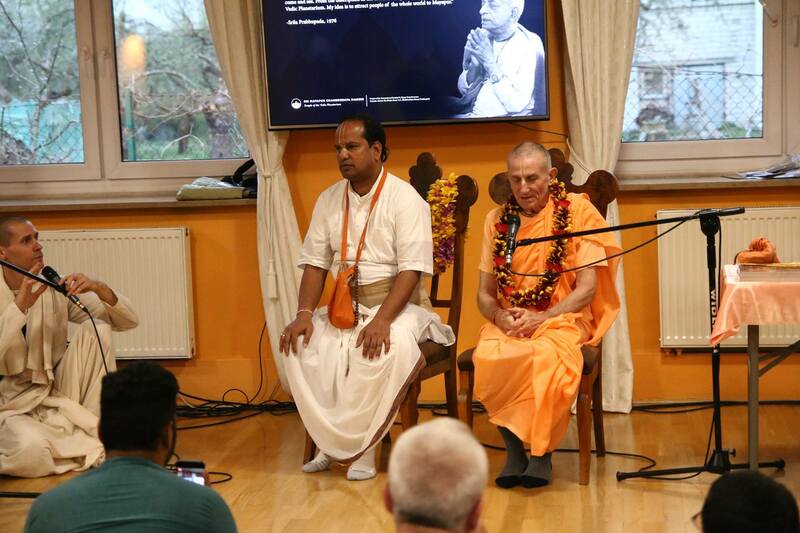 For devotees to make large pledges in these countries is a great sacrifice and a sign of the devotion and love these devotees have for the Lord and His TOVP project. We want to thank Their Holinesses Prahladananda Swami and Bhaktivaibhava Swami, the GBCs of this area for their cooperation and support, Krishna Kirtan das the temple president of the Sri Sri Gaur Nitai temple who also organized the program, Dwaraka Acyuta das the temple president of the Nava Navadvipa temple, and Kishor Kishora who, at the last minute, organized the Nava Navadvipa temple program and himself pledged 4,000 Euros ($5,000 U.S.). All glories to Lord Nityananda! All glories to Lord Nrsimhadeva! All glories to all the devotees of the Lord! Note: The photos are only from the Sri Sri Gaur Nitai temple. The next stop on the tour is Slovakia where the temple of New Ekachakra Dhama is established. Lord Nityananda will undoubtedly be most merciful here upon visiting His own home. The complete Euro Tour schedule is below.